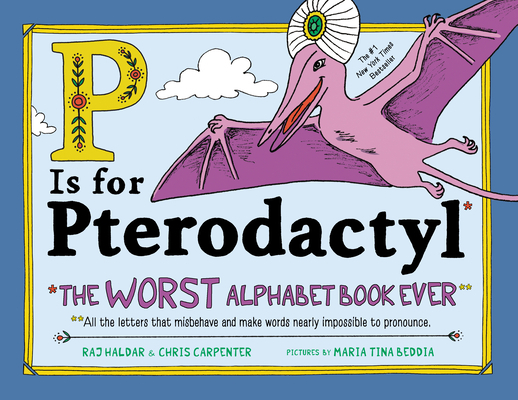 P Is for Pterodactyl: The Worst Alphabet Book Ever (Hardcover) | Fountain Bookstore, Inc. It's all there in the name. If you're looking for an easy, catchy way for youngin's to learn their ABC's this is NOT the book. But if you're looking for an introduction to the trickery of the English language (maybe for a slightly older age group), or just a rollicking good time, the search stops here. I guarantee this will be as much fun for the adults as the kids, they might want to rethink the targeted age group!